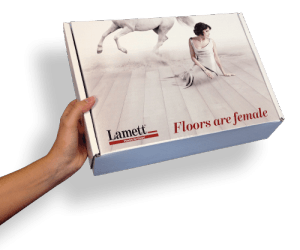 What is the perfect floor for the hotel and catering industry? 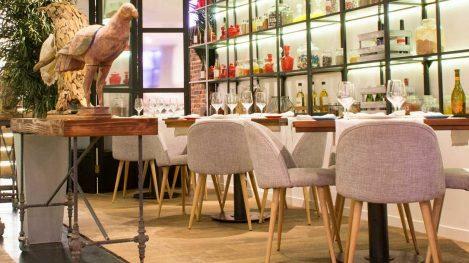 Here you choose a floor that perfectly matches the atmosphere of your hotel, restaurant or café. Simplicity and ease of maintenance is also an important factor. 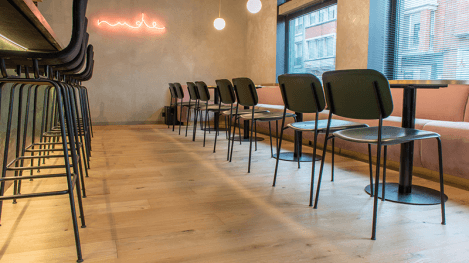 Such floors are put through a lot: falling cutlery, walking routes of customers and personnel, sliding seats and tables, … A catering floor must be able to take a knock. Our ParquetVinyl floors have at least wear class 33. This means these floors are suitable for intensive commercial use so ideal for the hotel and catering trade. 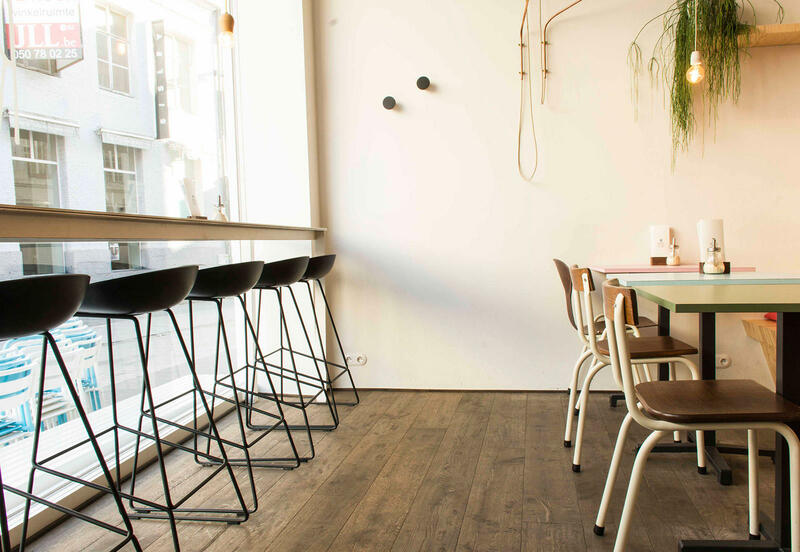 A parquet floor is also usually chosen because of the natural and warm feel. 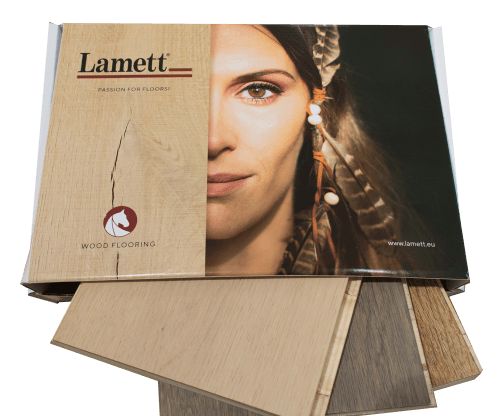 Here it is recommended to choose a rustic floor with knots and colour variations, so stains and scratches are less conspicuous. Also choose a parquet floor with a minimum top layer of 3 mm so the floor can still be sanded. When sanding your floor you can also choose to give it a new look. 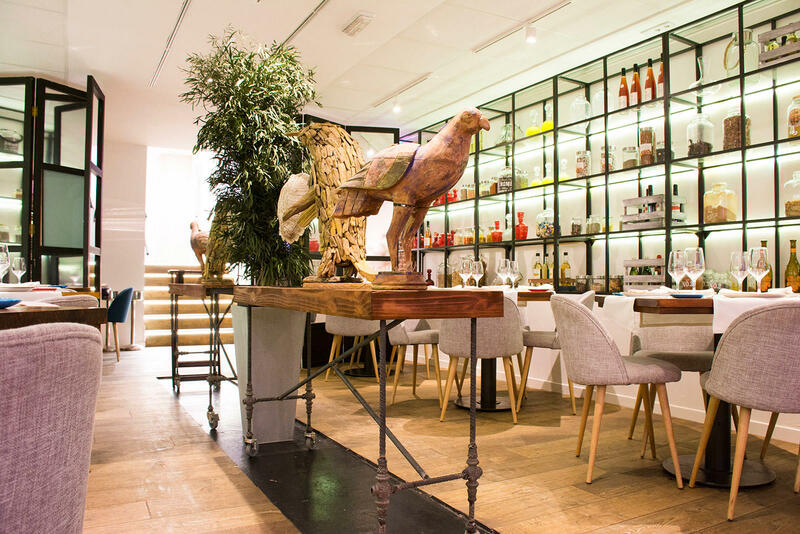 You can also find one of our floors in restaurant D-stage in Madrid, being Farm Antique. 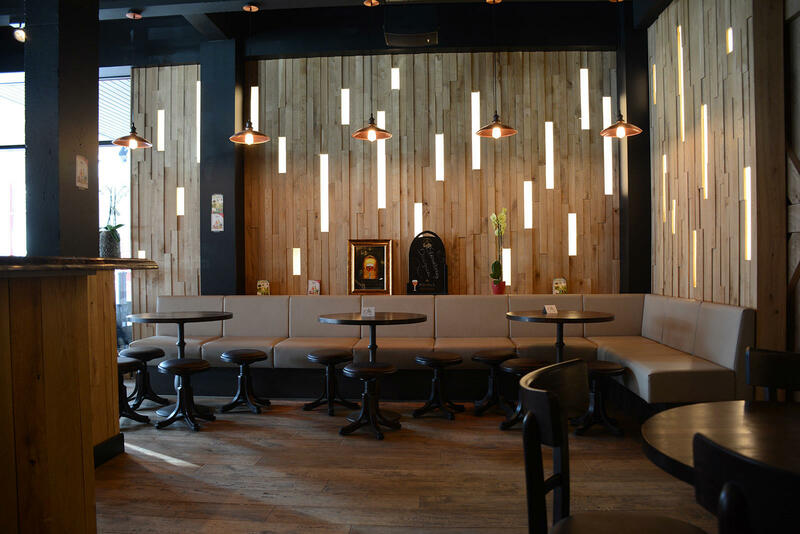 The industrial look of the interior together with the rustic Farm has an impressive result. 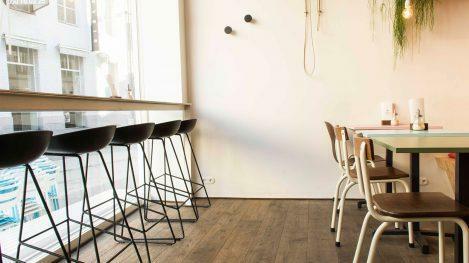 Kaffee Renée in Kortrijk is a cosy coffee bar. Here one particularly wanted to create warmth by working with different woods. The rustic Farm collection gives the new business buckets of authenticity! 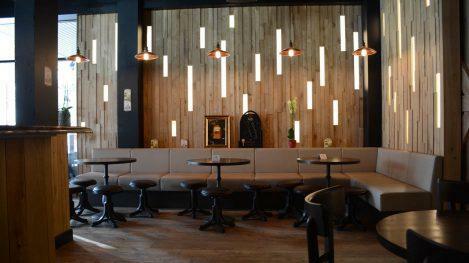 This atmospheric lounge and tapas bar with much rock-’n-roll, bar Chloé's, chose Farm Harvest. This rustic floor perfectly matches the industrial look and feel.